1 What Other Fish Can Betta Fish Live With? What Other Fish Can Betta Fish Live With? You’ve probably heard that there’s not many fish that can live alongside a Betta Fish. 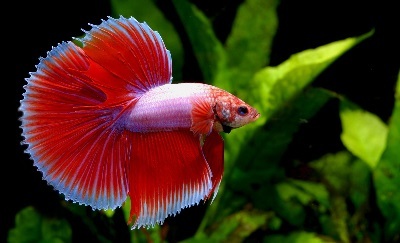 After all Betta Fish are highly territorial and can be aggressive towards other fish. Right? As long as you avoid certain triggers. Betta Fish can happily live with other fish. A tank mate is simply an aquarium species that shares a tank with another. First and foremost you need to consider compatibility. Both species need to be capable of living within the same environment in order to survive together. Consider things like pH levels and temperature. Is it too acidic for either of them to live in. Is it too hot or too cold for both of them to be comfortable. It is very hard to have multi-temperatures and layered pH levels within the same tank while also providing enough room for the fish to swim around. For this reason look for compatible ranges. If they do not have the same ranges from lowest to highest. Look for overlapping ranges that can be maintained. When you have one specie’s highest or lowest range falling withing the ranges of the other specie’s. They could be considered compatible. Betta Fish like dense plant growth and places to hide. If the other species you are considering like wide open spaces then trying to have both species in the same 20 gallon tank could leave one or the other feeling stressed if its requirements are not met. If you have your heart set on another species that doesn’t like heavily planted tanks. Then you’ll need to consider the shape of the tank. This also applies to the number of fish you are looking to have. With an important thing that must be considered. The size of your tank. Betta Fish need at lease 5-7 gallons of personal water space for themselves. A long narrow 20 gallon tank could allow for an open space species to cohabit the tank. One end of the tank can be heavily planted with the plants thinning out towards the middle and then none at the other end from the midway point. You would need to add the volume of water that each species needs for the overall size of your tank. If you are looking at a 10 gallon fish, you would need a 20 gallon tank. A 15 gallon fish would make it 25+ and so on. Betta Fish like to eat pellets, blood worms, brine shrimp and mosquito larvae. Picking another species that likes to eat the same food can help to eliminate the risk of rotting food waste. Live food can also be a more worth while treat to give them now. As there can be a reduced risk of your Betta over eating when sharing live food. Just being environmentally compatible isn’t enough to take into consideration when picking a tank mate for your Betta Fish. You’ll also need to consider the areas of the tank that each species will inhabiting. Betta Fish like to swim in the upper level of the tank. So near the surface. Having other surface zone species, could become intrusive for your Betta. This would stress your Betta out as it could feel like its territory is being invaded. Avoid introducing top level swimmers as your Betta could be attacked or even attack and kill the other fish. Your Betta Fish may have beautiful large flowing fins. 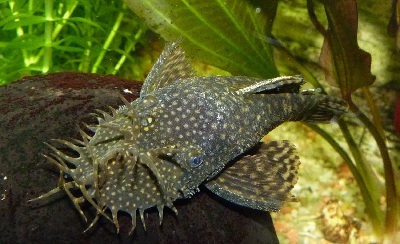 If you introduced a species that’s notorious for being nibblers -they like to bite and tear other fish’s fins. Not only could your Betta’s fins get damaged, they would also most likely kill the other fish that’s attacking them. 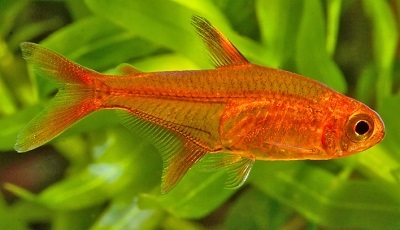 Brightly colored species with large fins can be mistaken for another male Betta. It is best to avoid species with a combination of these features. As well as most species that have overly large fins. These features can make your Betta feel intimidated. They are more then likely to attack another fish that they might feel is another male challenger. Do not under any circumstances place two males in the same tank. They are not called Siamese and Japanese Fighting fish for nothing. They were bred for fighting and will injure one another, if not kill each other. 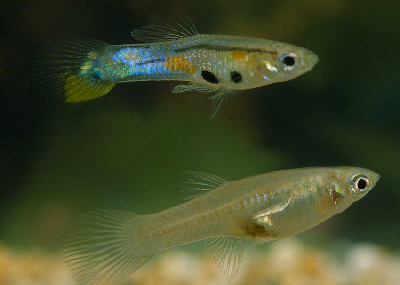 Multiple females can be kept in the same tank. This is know as a Sorority. They usually consist of 5 or more females. Keep their numbers odd however. There can be more chance of tension with even numbers. Provide lots of hiding places for the weaker females to hide in. Their tank needs to be no smaller then 10 gallons. There will be an alpha female. Her position could be challenged by other females and fights may constantly break out. A sorority that has a stable hierarchy can coexist with one another in relative peace. Introducing an older female that is use to living in seclusion. Into a sorority is inadvisable. Females can be just as territorial as males and she would not take kindly to having other females invade her personal space. Watch for signs of trouble, damaged fins and/or scales, missing fish, and signs of stress. If females go missing they could have been killed during a fight over dominance or the alpha female could be highly territorial and is killing the weaker females. Separate your females if this occurs. Unless you are trying to breed your Betta Fish. Do not keep a female and a male Betta in the same tank. They will fight if they are not ready for breeding. If you are preparing them to mate. Keep their tank divided and separated from one another until the conditions are met. The following species are examples of what can be introduced to your Bettas tank. There is no guarantee of how well any fish will get along. Fish just like people, are individuals and have their own personalities. Your Betta could be more passive and more tolerable then someone else’s. This could mean that it might be happy living with more fish. Or it could be more territorial and aggressive. They might attack any fish they sees. Slowly introduce your Betta to new fish and keep an eye on them. Watch for signs of stress or injury and observe their interactions with their new housemates. If they are not coping. Either remove the Betta Fish to a safer tank or remove the new fish instead. Your Betta does not need the companionship of other fish. The inclusion of a compatible species is for your own benefit. You can not force your fish to like one another. Neon silver-blue bodies and a red neon stripe. This stripe can fade or even completely disappear as a result of prolonged periods of darkness. They require at least 10 gallons of swimming space. They are a schooling fish and like to be in schools of 6-12 fish. Though brightly colored. This species is tolerated by most Betta Fish due to their smaller fins. They like to swim long the middle habitation zone, well below the Betta Fish, and require a longer tank for them to swim up and down. Like the Betta Fish they too like to have a heavily planted tank. With a bright red head, silver body, and a black and white striped tail. 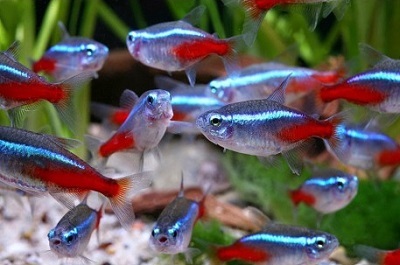 This species is much like its cousin species, the Neon Tetra. 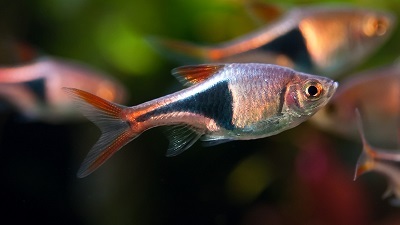 This species of Tetra also like to have 10 gallons of swimming water and a long tank to swim up and down. It can be schooled with 4-12 fish and will also prefer the middle habitat zone. It is a very peaceful fish and will happy coexist with most other fish. Both the males and females have an orange-red color. They can also be translucent in appearance. These tetras can join a school of neon tetras adding to their numbers. They are more happy in heavily planted tanks and will dart in and out of the plants. A very peaceful and active fish that likes to swim in the middle habitat zone. Though they like to be in schools of 5-7 fish, they are a shoaling fish. This means that they will break away from the group and do their own thing. Mainly grouping up when traveling to a new location. 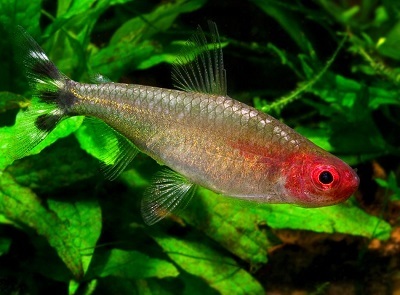 You need to be careful when it comes to most tetras. Most species can be fin nippers or could invade the Betta’s personal space. Females are a gray tone. With the males having brighter hues and spots on their body. 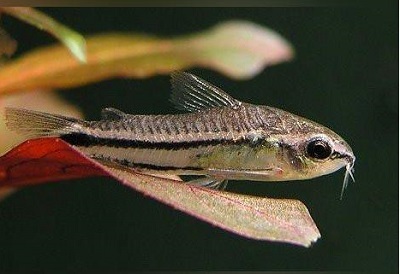 This species of guppie is usually bred to feed larger fish. This means that Betta Fish can be happy to live with them. This can’t be said however for other guppie species. If you are looking to use have this hardy and relatively docile species coexist with your Betta. Make sure that you are getting the correct species. A tough skinned species of catfish that has dark grayish skin with white spots. 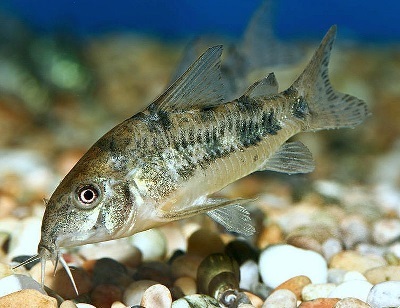 This species of catfish is a very shy and reclusive bottom feeder that’s inactive during the day. They feed on algae and will help to clean the tank. As they are bottom feeders the live in the lower habitat zone and will not likely draw the attention of your Betta. If your Betta does get curious and takes a bite. Their skin is so tough that it wouldn’t cause them any harm. They can also grow to as big as 4″ long, far too big for your Betta to be able to kill if it wanted to pick a fight. One of the easiest fish to care for. They like to live in schools of 4 or more and are very active and non-aggressive fish. They will clean up after your Betta feeding on algae and and food scraps that may have been missed by your Betta. Make sure when you are buying at cat fish that you are not buying the common catfish. as it can grow quite large. A dull gray in color, they blend in well against sand and gravel substrate. Being the smallest of this species, their diminutive size of 1″. Can make it so that your Betta may not even know that they are even there to begin with. They like to live in schools of 6-12 fish and will happily clean up the tank. By eating the algae and food scraps left behind by your Betta. These eel like fish have a yellow bodies with dark patching. They like to burrow deep into the sand substrate and hide in tiny crevices. When with others of their species they will play and pile on top of each other. Though they like to be with up to six others of their species. They are happy to be on their own. If left alone they have a docile temperament and would stick to themselves, ignoring other fish around them. If you wish to include a Loach. Make sure that you are getting this variation of Loach as other variation of this species can grow as long as one foot. We could finish this list of with another fish. Instead we are going to include and environmental element that can effect your choice of other companion fish. Snails can be added to a smaller 5-10 gallon tank. They don’t require additional swimming water and will not impact on your Betta Fish’s personal space. They are the garbage cleaners of the aquarium world and will eat everything from waste, to algae and left over food. Betta Fish may even eat the baby snails providing an additional food source. The biggest draw back to snails, is that they are prolific breeders. If left unchecked they can quickly take over a tank. The could eat more then there is being produced, limiting what is available for catfish to eat. Include Assassin Snails. As their name suggests, these snails will hunt and eat other snails, reducing the other snails population. Consider the Kuhli Loach mentioned earlier. They will hunt down and consume the snails. If you have a snail infestation, place a few of these fish in your tank and they will eradicate the snail problem, then you can just feed them pellets. Or allow your snail population to grow and introduce just the one to keep the population in check. Snails can help to keep your tank clean, adding to a healthier environment. If you can keep their population in check they just might help you to decide on a suitable tank mate for your little Betta friend. You seem to know Bettas! I just purchased five floating Betta food clips – which I saw on Big Al’s site – one each for my five male Bettas. What should I clip to the ends? The “fish expert” at the general pet store said they like “beef heart” and the blood worms – but he may have been very busy that day and been thinking of his other fish that are carnivorous. Blood worms (I have the dried ones) – are too small for the clips. I do not want to “live feed” – and if they could eat a little bit of “beef heart” or “shrimp” from the grocery store – that seems easier to obtain and fit in a clip – and retrieve the uneaten so the tank doesn’t get messy. I have 6 female bettas with one male in a 125 gallon; would like for them to breed but I don’t think that is happening because of the other fish in the tank. Moral of the story, I have not had any issues keeping females with a male and NOT during time of mating.